Coimbatore With the air-version of BrahMos missile likely to be inducted in IAF within a year, works have already been started to develop BrahMos 2, the fastest Hypersonic missile in the world, which would take final shape in five years, a top scientist said. While the BrahMos missile has the speed of Mach 3 (speed of sound) moving at one km per second, the Hypersonic missile would achieve a speed of Mach 6 to Mach 7, double than that of the present missile, A Sivathanu Pillai, CEO and Managing Director, BrahMos Aerospace, said. “We have the guidelines and technology to make Hypersonic missile. Tests, however, have to be conducted for configuring with the propulsion and the engine and flight tested, which would take at least five years,” Pillai said. Once operational, BrahMos 2 would be the fastest missile in the world, he said. Having achieved the land and sea versions of BrahMos missile, the air version was in the final stage and after carrying out the critical test,it would be inducted into the Indian Air Force to use in Sukhoi-30,the main striking aircraft. The missile would be a versatile system in the Defence Force, he said. Asked about inquiries from foreign Countries, Pillai said since there was no equivalent to the BrahMos, many countries were queuing up for the missile for use in multiple platforms in their force. There was , however, huge requirement of this missile in India and only after fulfilling the demand, the company can think of supplying to foreign countries, he said. There are plenty of missiles that travel at more than 2km/s. According to deputy defense minister Vladimir Popovkin, the program provides "construction of eight nuclear-powered submarines armed with Bulava ballistic missiles... and about 100 surface ships of different classes. Designing of key assets for general-purpose naval force is in progress; they are Project 885 Yasen nuclear-powered attack submarines (SSN), Project 22350 frigates, and Project 20380M corvettes". Besides, according to a high-ranking official, experts of appropriate agencies "are developing design of a new 5-generation SSN and a new destroyer"; by the way "basic weapon of those projects will be advanced shipborne missile system Caliber operating both antiship cruise missiles 3M-54 and long-range cruise missiles 3M-14 capable to destroy enemy's land objects". Moreover, "development of Zircon-S ship-based hypersonic missile system is also scheduled", said Popovkin. Well Zircon presumably for Zirconium would match the pattern for naval missiles. To combine a range of 1,000km and hypersonic speed it will likely be a large Granit like missile but instead of a turbojet engine it will likely have a scramjet. Hypersonic speed means it must fly relatively high which means it should be able to be detected at long range, but the high speed will reduce available reaction time and of course the ability to manouver would make it a desparately difficult target. Imagine it is 100km away and closing at Mach 7. Mach 7 would translate to about 2.25km/s so you launch your SAM to intercept it... because of the distance it will take a SAM that averages mach 5 or 1.6km/s just over 1 minute to get to where the incoming missile is, but of course in one minutes time a target moving 2.25km/s that is 100km away will have moved a little over 140km. The interception point will therefore need to be a combination of the projected position of the incoming missile matched to the trajectory of the outgoing SAM... lets say the intercept point is calculated to be 40km away and the SAM is launched instantly... the smallest turn by the incoming missile needs to be detected and the incoming missile needs to be tracked for a few seconds to determine its new course... it might turn 1 degree or 25 degrees but it takes time to work out the new trajectory and get the new intercept point so the outgoing SAM has to be instructed to fly to this new intercept point. If the incoming missile turns continuously then the outgoing SAM is going to have a really tough time because a turn of 10 degrees will shift the intercept point several kilometres in a fraction of a second and SAMs that travel at mach 5 don't have huge wings to allow hard turns. In comparison a ballistic target coming in is easier because it has a set path that it doesn't deviate hugely from during its fall. Early detection problem can be eliminated by use of plasma shield , missile traveling that fast Mach 5-7 generates a plasma shield which makes RF signal impossible to penetrate either ways. So if the target is at 1000 km at an average speed of Mach 5 it would take around 9-10 minutes to reach the target , ships generally dont travel fast and it would probably need no external update during the entire flight. The missile can travel fast once its launched and says gains a height of 25 - 30 km where the scramjet burns and gives it a speed of Mach 6-7 , this creates a plasma and the ship radar cannot detect the incoming missile and since the missile does not need any Radar inputs , it can fly till its 200 km from target and then slow down to Mach 4-5 , where the plasma shield dissapears and then it can take one Radar sweep at the target and go for a dive attack , while it manouvers , I dont expect it to manouver much due to G limits and reduction of speed when such manouver takes place. Since missile also does not need a big warhead as the Kinetic Energy will be 2-3 times more than Brahmos a small 100 Kg warhead is good enough to sink a Carrier with missile of such kinetic energy. This plasma shield is not naturally occurring... except for very specific situations like a spaceship reentering the atmosphere which is much higher speed and higher altitude than this missile is likely to achieve... one of the problems of plasma stealth for a fighter aircraft is to create it rapidly enough in front of the aircraft as the speed of the aircraft means it is always flying through it. With a very high speed missile or aircraft the problems of creating it quickly enough would be increased 100 fold. Also the IR signature of the weapon would be rather significant too. I think there is not much they will be able to do to hide the missile, but because of its speed and most likely its operational height which could be 30km or more plus a likely manouver capability they wont have to worry about stealth. New hypersonic weapon ( 1000 km ) will be scramjet only , ramjet cant give you hypersonic speed. The definition of hypersonic speed is mach 5 or faster and ramjets can be operated at speeds above mach 6. Scramjets, in comparison can operate to orbital speeds. BTW regarding UKSK tubes you are quite right that current plans are for Onyx missiles to be fitted directly into modified Granit launch tubes. Regarding plasma that was disclosed by Russian scientist them self in an interview , missile operating above mach 7 would create plasma in the atmosphere making RF communication difficult. Ramjets can operate over a fairly wide range of altitudes and speeds... early tests of ramjets include fitting them to Polikarpov I-15 Biplanes that are slower than quite a few types of car. The only real difference between a ramjet and a scramjet is that in a scramjet the air is supersonic as the fuel is added and ignited, while a ramjet restricts the incoming air and compresses it to subsonic speeds before fuel is added and it is blasted out the back to produce thrust. Efficient ramjet speeds are mach 3-4, but it is capable of producing speeds faster than mach 5. Scramjets on the other hand have no real max speed limitation because the fuel is burned supersonically so there is no need for so much compression and intake ramp constriction used in a ramjet to reduce the airflow to subsonic speeds so the engine doesn't choke on the supersonic air. Travelling at high altitude is not a problem because the very high speed means that although the air might be colder and thinner the volume of air scooped up is enormous simply because of the flight speed, so there is no issue with using a scramjet engine. In theory/experiments you might be able to take a ramjet beyond Mach 5 but in actual practise you will get Mach 3 - 3.5 at best. One of the reason why Indo-Russian Brahmos 2 which has speed from Mach 5-7 uses scramjet engine. I am fairly certain at this point that Zircon-S will use some from of Scramjet engine which they have been testing for nearly decade on Topol and other classified programs. I told you Russia currently has two programs for Scramjet the initial one which we will see this decade in form of Zircon-S and Brahmos-2 is a Mach 5 -7 class missile and next decade the goal post will move further with Mach 12-13 class missile. They tested a ramjet engine mounted on the nose of an S-200 missile in the 1990s and it took the missile from its top speed of mach 5 to a little over mach 6.5 for about 1 minute and 30 seconds. Remember a flight range of 1,000km means a large fuel tank and plenty of time to accelerate so it might start with a rocket and accelerate and climb rapidly to mach 1 or mach 2 and then use the ramjet engine to accelerate to mach 5-6 over a few hundred kms. As it burns fuel it will get lighter and faster. Note the ramjet engine on the tip of the nose? 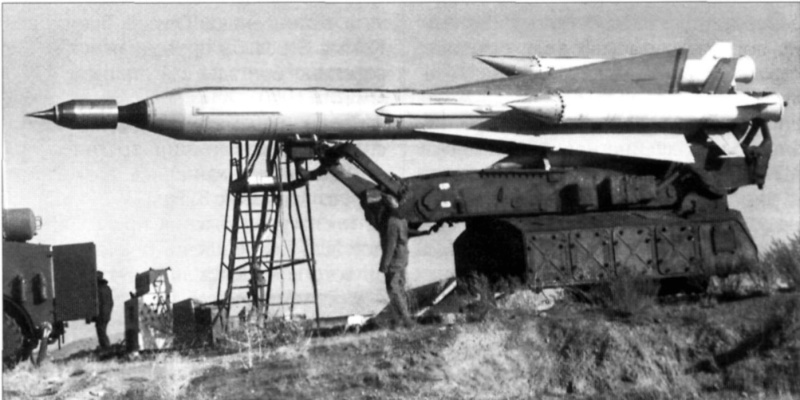 The solid rocket boosters fell away after they were spent but the body of the missile remained attached with the seeker and warhead area containing fuel for the nose mounted ramjet engine. According to the Hindu scriptures, Sudarshan Chakra is the ultimate weapon of Lord Vishnu used for the destruction of enemy. The best part is it comes back to its original place after destructing the target. The myth will now be reality. In next few years, India will have its own Sudarshan Chakra-like deadly hypersonic potent missile. BrahMos Aerospace India Ltd (BAIL) is currently working on BrahMos II programme where scientists have taken inspiration from Lord Vishnu's weapon. Going at a speed of Mach 7, the missile would deliver the warhead, assess the destruction of target, come back and get ready to go again. Talking to Headlines Today, Dr A Sivathanu Pillai, CEO and MD for BAIL, said, "It is our dream to make the best weapon. Our mythology has given us a lot of inputs. Out of all gods, only one weapon is moving and is ready to go in nanoseconds at the command of mind. It destroys the enemy and comes back, and that is Sudarshan Chakra." Dr Pillai, considered to be the father of the world's fastest supersonic BrahMos cruise missile project, adds, "We have established a lead in supersonic missile. Definitely our country and its scientific community are capable of developing a hypersonic missile which is reusable. With technology changing every day and a sort of information war beginning in the world, there is a possibility of mind operating machines. Hypersonic vehicles with multi-use will reduce the cost putting payload in the orbit. It could deliver the payload at multiple points and it can come back. That is what we have thought of as our own version of Sudarshan Chakra." According to Dr Pillai, India will get this hypersonic missile in the next 5-7 years. At present, BAIL is working on the air-to-air missile, which should get ready by the end of 2014. Dr Pillai's ultimate dream is to establish a military industry complex which can provide all the weapons in the country. "We could be a self-reliant country in missile technology, but for that we need industry support," he said. To those who do not know what Sudarshan Chakra is , It was a weapon used by Hindu God Krishna. What about Russian hypersonic Zircona missile ? Zircon is a Russian equivalent like Onyx is the Russian equivalent of Yakhont. The main difference is that Brahmos is based on Yakhont, while Brahmos II and Zirconium are being developed at the same time. The other obvious difference of course is that Zircon (short for Zirconium) will not be restricted to 300km range and less than 500kg payload. Can Ramjet Engine be modified to give Mach 5+ speed ? Yes, but it would be easier with a scramjet engine... which is a type of ramjet engine of course. The new missile may become a revolutionary new weapon, the head of Russian-Indian BrahMos Aerospace enterprise said. ZHUKOVSKY (Sputnik) — A prototype BrahMos-II hypersonic cruise missile, currently under joint development by Russia and India, may be created in six to seven years, head of Russian-Indian BrahMos Aerospace enterprise Sudhir Mishra said Tuesday. "Research work on this project is underway in India at the Indian Institute of Science and in Russia at the Moscow Aviation Institute. This new missile is envisaged as a revolutionary new weapon," Mishra told RIA Novosti. "The exact configuration of the system has yet to be defined, the creation of a prototype hypersonic BrahMos missile can take six-seven years." 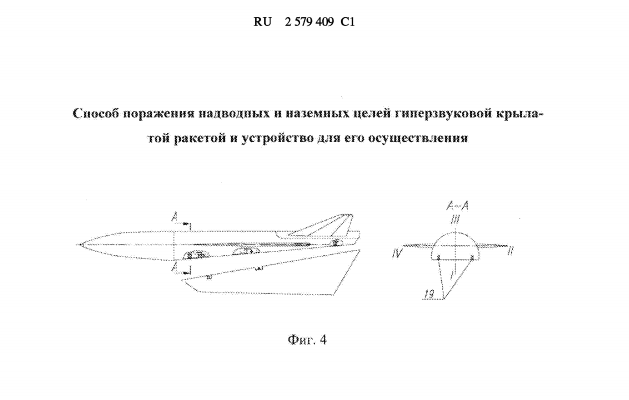 NPO Mashinostroyeniya patent for a two-stage hypersonic (Mach 6) scramjet-powered missile design which basically flies very high at high speed then separates when approaching the target, dropping the engine section and flying unpowered down to the target. 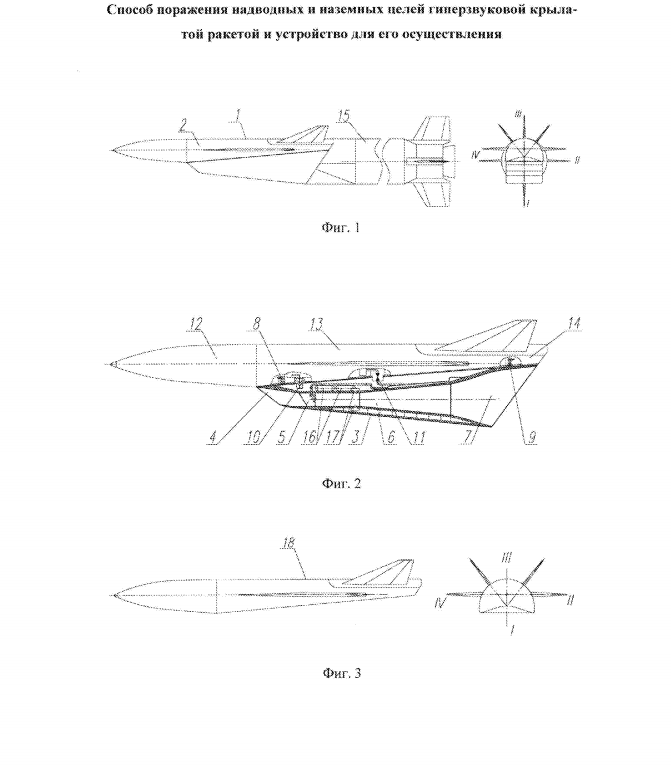 This simplifies the scramjet design as it doesn't have to work in the dense air at low altitudes. The invention relates to a hypersonic cruise missiles (CMP), equipped with scramjet (scramjet). CMP contains marching step with design, built on the basis of two modules. The first module is a battle and is designed as a glider sustainer stage CMP. The second - unit sustainer propulsion system combines air intake, combustion chamber, the nozzle, the fluid system and devices that run the scramjet. The second module is mounted under the fuselage of the combat module packet (parallel) scheme, with the possibility of separating in flight by BASS team. After detection and target coordinates in the point of the trajectory, calculated onboard equipment control system (BASS) for BASS team produced the separation of the power plant (SU) CMP and defeat the purpose of planning is carried out combat unit. The technical result of the invention is to expand the scope of rockets from scramjet. 2N. 1 ZP f ly-4-yl. The invention relates to the field of missile technology, and more particularly to a hypersonic cruise missiles equipped with scramjet (scramjet). The invention describes a method of using the device and hypersonic cruise missile (CMP), solves the problem of the combat mission for the defeat of ground and surface targets such missile. Known hypersonic aircraft X-51, equipped with scramjet ventral air intake, which is a technology demonstrator. X-51 flight tests took place in order to develop technologies used in the creation of CMP. During the tests, the unit was separated from the aircraft carrier at a speed corresponding to 0.8M, and a height of 15.2 km, then he accelerated detachable solid-starter-boost stage to the speed corresponding to M = 4.5-4.8. Then launch the scramjet was carried out, after which the device scored a height of about 30 km and was flying, maintaining a speed of about 5M. After completion of the flight at a given altitude test plan provided off of the power plant and the fall of the unit (based on the 17th AIAA International Space Planes and Hypersonic Systems and Technologies Conference). This method is the use of the aircraft and its equipment to the technical nature the most similar to the subject matter of the invention, despite the fact that the X-51 makers were hesitant tasks directly hitting the ground or sea targets, as the entrance into the dense layers of the atmosphere of the overclocked to an altitude of Mach number = 5 and a vehicle with a scramjet is associated with the probability of sequential destruction of its powerplant and airframe before reaching the destruction of the object. The described invention is designed to maximize the combat potential of the CMP with the scramjet and aircraft, discussed above, is accepted as the closest analogue. To solve the problem of the use of missile weapons in the promising samples scramjet propulsion system requires (SU), which will fully meet all the demands placed upon it. A feature of the cruise trajectory missiles scramjet is the presence of the main high-altitude flight section, for example, at a height of H = 30 km at a constant speed corresponding to Mach 6. Before hitting surface or ground object CMP must be reduced to the height of the location of the target (for surface targets 10 m, and for the land at altitudes from 0 to 4000 m) and at the same time produce a decrease of flight speed to reduce aerodynamic loads and provide acceptable handling characteristics. - There is also the danger of the destruction of the scramjet designs due to increased pressure in the running of the engine while reducing the CMP with the cruise altitude before hitting the target. Availability of off-design conditions for the scramjet high altitude causes that enable flight CMP requires regulated power unit (SU), in which the air intake flow of the engine and nozzle are configured to change their shape in a wide range of geometric parameters. Such decisions need to be implemented to create a scramjet performance in a wide range of parameters of the incoming flow. Changing the shape of the air intake, combustion chamber and engine nozzle is only possible with the use of sophisticated control devices. The above device should provide a work SU wide range of speeds and altitudes by continuously adaptive adjustment to the conditions of flight gas path geometrical parameters and supply fuel substantially from SU transforming scramjet supersonic flow in SC conventional subsonic flow from the ramjet. The solution of such a complex technical and technological tasks under tight weight and size restrictions placed on weapons systems, it seems inappropriate. The object of the invention to provide a method for applying CMP to combat scramjet to destroy ground and surface targets within the constraints imposed on the flight propulsion rocket. This object is achieved by the fact that in contrast to the known method defeats the purpose of the capital master plan, which consists in removing the missile at a given altitude and flight speed starter-boost stage (CPC), the CPC office, launching cruise scramjet, active flight at the design height in the direction of the goal, search , seizure and destruction of the target, in the claimed invention, after detection and target coordinates in the point of the trajectory, calculated onboard equipment control system (BASS) for BASS team is made off scramjet followed by separation of the power plant by marching step by tripping piroustroystv and defeat the purpose carried out planning combat unit, correcting its trajectory according to the homing system. The proposed method makes it possible to realize the combat capabilities of the missiles by firing at a target while minimizing approach to it due to the high speed of the march CMP flight. Branch power plant will reduce the drag and hence to increase the duration of the planning area and combat unit will be able to withstand high overload permissible, and hence have better controllability. Also SU compartment lead to a significant decrease in firing module effective surface scattering and hence to reduce its visibility, which is especially important at the approach to the target. For carrying out the process of hitting the target in the known device of hypersonic aircraft, comprising solid-starter-booster stage (CPC) and the marching step with ventral air intake scramjet liquid hydrocarbon fuel, comprising SU containing air intake, combustion chamber, nozzle, the fluid system and devices that run the scramjet, the claimed invention there is provided marching step by CMP to build on the basis of two modules, the first of which is to combat and is designed as a glider sustainer stage CMP and the second - in the form of unit sustainer propulsion system, combining the all of the above device SU and fixed under the fuselage of the combat module packet (parallel) scheme, with the possibility of separating in flight by BASS team. This module propulsion system (IAS) mounted under the fuselage of the combat module piroustroystvami, and to ensure supply to the power plant unit propulsion fuel and control commands it is connected with the combat unit discontinuous hydraulic and electrical connectors. The proposed CMP device allows to solve the problems associated with the creation of hypersonic combat unit through a specially designed rocket, allowing it to separate from the marching power plant, thereby avoiding the need to make a flight with a scramjet to deliberately off-design conditions. In addition, the union into a single unit air intake, combustion chamber, nozzles, heat exchanger and the fluid system will significantly reduce launch weight of CMP, as its design will be perceived only loads acting on the dispersal areas and active (working with scramjet) flight. The modular design will allow SU to make it an autonomous ground tests and increase the reliability of the whole installation. The essence of the apparatus illustrated in FIG. 1 ÷ 3. FIG. 1 is a perspective view of the starting step CMP, Fig. 2 - layout sustainer stage CMP. FIG. 3 shows a general view of the combat unit. FIG. 4 illustrates the division of the combat unit and MSU after powered flight portion where a section A-A shows the location piroustroystv fuselage (19). Start CMP step (1) is made by the normal aerodynamic scheme with plyusoobraznym plumage starter-booster stage. The stage contains the starting kickoff-booster stage and marching gear (2) with a two-keel empennage and wings mounted on the fuselage having a longitudinal plane of symmetry. Under the fuselage of the combat unit sustainer stage mounted in parallel module power unit (3) with an air inlet (4), the pylon assembly (5), combustion chamber (6) and the nozzle (7). Securing local government by means of piroustroystv (8 and 9), giving a control command to the power plant by means of a discontinuous electrical connector (10) and power is marching fuel through the bursting gidrorazem (11). The forward fuselage of the combat module (12) located onboard equipment control system. On average, the fuselage compartment (13) has a fuel tank and the payload bay. By the tail section (14) is mounted starter-booster stage (15). Said device operates as follows. After separation from the launch vehicle produced CDS and CMP concluded on march speed and altitude. Further downstream from the CDS, and simultaneously starts the supply pilot fuel into the combustion chamber of the power plant from the tank, located in its housing (16). Coming from this fuel tank, igniting using pyro (17), runs the power plant and prepare it for operation on the main fuel, placed in the middle section of the fuselage. Next, the scramjet launch and the rocket begins to cruise flight. After the end of the active portion of the flight propulsion system is separated from the combat unit. Plot trajectories associated with the planning and the defeat of targets, overcoming a combat unit (18). Thus, the present invention makes it possible to extend the scope of rockets from scramjet. 1. A method for hitting surface and land targets hypersonic cruise missile (CMP), which consists in removing the missile at a given altitude and flight speed starter-boost stage (CPC), the CPC office, launching cruise scramjet (scramjet), active flight at the design height towards the target, search, capture and destruction of the target, characterized in that, after detection and target coordinates at a point of the trajectory, computed onboard equipment control system (BASS) at BASU command produced off scramjet followed by separation of the power plant from the march stage through operation piroustroystv and defeat the purpose of planning is carried out combat unit, correcting its trajectory according to the homing system. 2. The apparatus for performing the method hitting surface and land targets hypersonic cruise missile, comprising a solid-starter-booster stage (CPC) and the marching step with ventral air intake scramjet liquid hydrocarbon fuel, comprising a power unit (SU) comprising an air inlet, a combustor, a nozzle, a fluid system and devices that support the operation scramjet, characterized in that the sustainer stage CMP is based on two modules, the first of which is to combat and is designed as a glider sustainer stage CMP, and the second - as a module sustainer propulsion system that combines all of the above device SU and fixed under the fuselage of the combat module packet (parallel) scheme, with the possibility of separating in flight by BASS team. 3. The apparatus of claim. 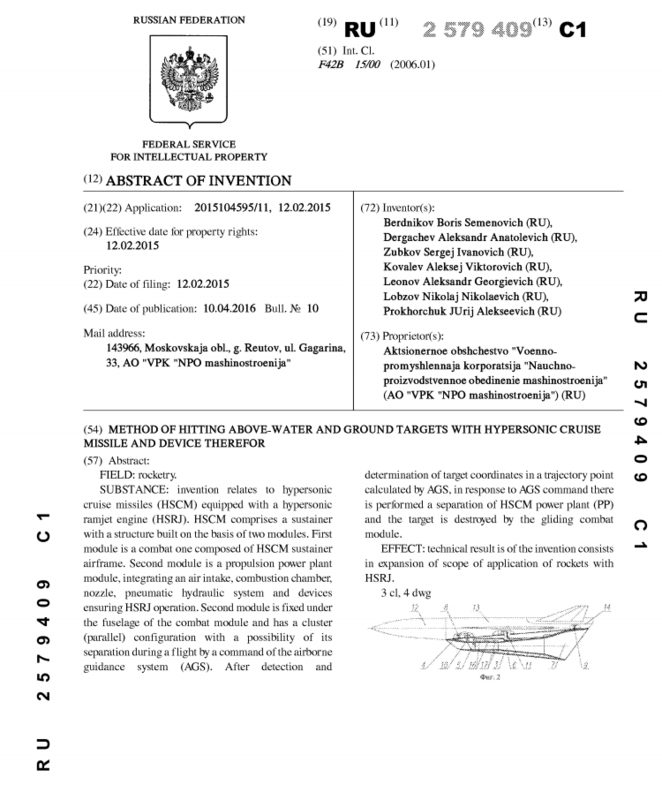 2, characterized in that the propulsion unit (ISU) mounted under the fuselage piroustroystvami combat unit and connected thereto discontinuous hydro and electrical connectors. What is the update on the Mark II version of the BrahMos? What are the production and trial timelines and how does it improve on the existing missile system? BrahMos Mark II or Hypersonic BrahMos will be able to fly much faster than the existing one. The speed of the existing BrahMos missile is 2.8 to 3 Mach. In order to make a pure hypersonic missile, one has to make a scramjet engine. Our study suggests that the present engine can be improved if we redesign some some components and do proper thermal management, after which the missile can travel at a speed of 5 Mach. First live test at world of an in-atmosphere maneuverable hypersonic missile - product "Циркон" - will be executed this spring. The launching marine platform has been not specified, but is important to notice that among the possible hosts platforms is absent first Проект 885 but only Проект 885-M - this could be related to some adjustments required for the lauch tubes -.